Keep you furry friends squeaky clean with these Pet Cleansing Kits. Your pets will thank you for smelling clean as a whistle! 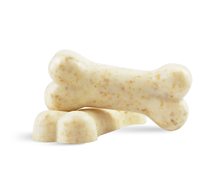 Keep your pet healthy and happy by bathing your furry four legged friends regularly in this high quality and economically priced shampoo bar. You Save $15.15 buying these items as a kit. Soft baby powder fragrance and rich penetrating lather work together to create the perfect pet shampoo product to add to your craft show or market bill. You Save $26.10 buying these items as a kit.